You have helped us sell boats as far north as Chicago. Only inboards is easy to navigate and helps us to hit a specific market! Just wanted to inform you that we sold 4 boats this week through leads generated by your site. Its nice to have an outlet for our inboard inventory. We have been very slow over the past few months but once we listed the boat on onlyinboards the calls started coming in. Thanks for the hard work you put into making this a great site! Just wanted to give you an “atta boy” for your site! As the largest MasterCraft Dealer in the Mid-Atlantic region, I get better leads and more resulting sales from your site than any other site I have used. I recently have stopped using the other sites as you guys are the best bang for my marketing dollars! Thanks to OnlyInboards.com for helping us sell a 2002 Ski Nautique to a nice family from North Dakota. Thank you for making an easy to use and inboard specific site. Great work! We recently cancelled our BoatTrader account to use OnlyInboards.com exclusively for advertising our inventory. In the last year we've found OnlyInboards delivers a higher volume of leads at a lower price than any other option. Just thought I would let you know that I posted several boats on Friday, September 19th, and I have sold one already! We've been using Onlyinboards for a while now and just pulled all of our boattrader ads because we were happier with Onlyinboards! JUST SOLD A BOAT OFF YOUR SITE. A 2006 CENTURION AVALANCHE! WAY TO GO,ONLYINBOARDS.VERY HAPPY WITH YOUR SITE. ONWARD AND UPWARD! Onlyinboards.com is wonderful!!! After having the boat listed for 3 days, I already had over 200 looks at it. The boat sold after only about 6 weeks after I had it listed. Listing the boat was so simple and easy. Onlyinboards.com generated many leads on this boat, so much that I was often getting emails every day from my listings. If you are trying to sell your boat, onlyinboards.com is definitely the way to go. I have tried listing boats on other sites. Onlyinboards in shorter time generated more quality leads then the other sites combined. I plan on listing all my boats on your site. I am finalizing our first deal that was a lead from your site. This guy is buying the 2006 MasterCraft from us that I have been advertising for the past 4 months. I had it on your site for just about 4 weeks! We are looking forward to many more like that. Thank you again for all of your help and support. Writing to let you know how ecstatic I am of the response that I have received from the web site. I cater Nationwide to the Ski and Wakeboard Boat market. I have finally found a resource to list all of my consignment and broker units!!!!! It is always difficult to list on Boattrader and other similar sites. My customers complain to me about the time and efforts of navigating around those sites. They are raving about Only Inboards for the fact that you do not have to look through a bunch of I/O's and other PWC in the menu to find their Inboard manufacture of entrust. I feel your site is not only a great resource for the consumer, but also an ideal way for inboard boat dealers to market their inventory. Thanks so much for your time and efforts! I look forward to networking for years to come! We’ve sold two boats of the postings on OnlyInboards in the past few weeks. Thanks for the exposure! Thanks Ian. That makes 3 boats successfully sold on onlyinboards! got lots of calls/action on it. 2007 Malibu vRide SOLD April 10, 2016 for $32,000. The lead for the sale came from Only Inboards. FYI, most of the leads/inquiries for my boat came from your site. Thanks for providing a great venue for selling my boat! SOLD!!!! Thanks again for a great website. I have sold two on here and bought one. Sold... Delivered today. Thank you Only Inboards!!! That's #2 you've sold for me. Sold, thx for your help! The boat sold in three days, through your website. Hey guys boat is sold. Buyer found it on your website. Thanks! yes we did in fact sell the boat and the lead came from inboards only so……thanks much. The boat has been sold and was sold 8 days after posting it, also it was sold for the asking price. Great website. Thank you Only Inboards……I sold my boat using your web site. thanks very much for the great site. Looked for Moomba info on your site back in 2011. And over the last couple of years used your site to buy several things for the boat. This spring your site helped me sell the Moomba. Great site - thank you. Thank you...Great Site. We did sell the boat with thanks to Only Inboards. You have a great site and I have told many people about it. Dear Sirs, Within one week I have four qualified buyers asking about the boat. It sold and I would like to thank you for your site. When I look to replace this one your site will be the first place I check. ust would like to tell other people that this website works! I purchased a boat advertised on this site and sold a boat from this website...not a bad track record. Maybe this will sell others in the future. I had a great experience using your boat sales website. It is a great way to bring buyers and sellers together. I bought the 4 month package and the boat sold with 60+ days remaining! I took a deposit in the boat. This site rocks. We sold our boat a few days ago with help from your site. I also did get many other people contacting me about the boat. I will now be using your site to search for another boat. Hi, Thanks for having a great site. I sold my 2005 Malibu Sunscape from a lead that came from your site. I had several other leads from here as well. You do a great job. Hi, I just wanted to let you know that my boat sold based on your lead. Just wanted to say thank you. This is the second time I have sold a Wakeboard boat on your site. This boat sold in 2 days in the middle winter!! Best Regards, Mike Shank Michael Shank Racing Inc.
My boat sold from a lead off of OnlyInboards! It sold, thanks to your site! I just wanted to tell you what a great site you have. I sold my boat through a lead on your site in 5 days. Onlyinboards.com allowed me to sell my boat the first week to an excellent buyer over 1000 miles away. Great job! The staff was also very responsive when I had a question on the service. Thank you. I purchased my first inboard off of this site 3 years ago, and tonight, I sold it via the site. In just a short period of time having it listed, I had numerous inquiries and none of the frustration of dealing with craigslist! Thanks, Onlyinboards! Thanks Only Inboards for helping me sell my boat! Much appreciated. Thanks for running sucha great site. my boat sold in just 3 weeks. Pretty high dollar transaction between individual buyer and seller. Thanks for doing what you do !!!. Thank you and BTW,,,you guys generated 8 leads. None of the other sites got any. Nice job!!! Yes. Sold it to a guy from Australia from a lead off of OnlyInboards. Their dollar is worth a lot more than ours so even with shipping he is saving like 20 grand. Guys, My boat sold. Please take it off the site. Awesome job!!!! My boat sold in 2 weeks I removed it from the site. I had 4 offers. Thanks for your help. Great way to sell a ski boat. Oh by the way I bought my new boat from an ad from your site as well. Just sold my 2000 Mastercraft Prostar 190. The guy that bought it found it on onlyinboards.com. Thanks!! I got my asking price. Hi Ian, just wanted to let you know I sold my boat to a guy in Mexico City . Your site was the only one I used. Wanted to let you know that I sold the boat to a guy who found it on onlyinboards.com, so the ad can be removed. Thanks for your help, you have a great site. When I come back from Costa Rica, I will definitely be using the site to find another boat! Thank you. Great site. Sold my boat today and had great legitimate leads from here versus many of the other sales sites! Yes, it sold from your site. Your site works really good for selling tournament boats. We received more inquiries from this site than any other site we've used in the past. The next time we need sell a ski boat, we'll definitely list it on this site. Thanks as always!! I sold my boat with you again. I get a new boat every year and always list it on all the sites, but the majority of my leads come from Onlyinboards.com. It would not be possible for me to get a new boat every year if I could not sell my current boat. I get leads from all over the US, Canada, and this last one I even sold to Australia. It was a bit overwhelming getting leads from all over the world, but if you do your due diligence it has worked out perfectly. Anyone that has questions on that, please contact Onlyinboards.com and he can refer you to me. The service has been great. Thanks! Boat sold today thanks to your website. Thanks! Thanks again and great website. When we decide to get back into the boat game, will for sure find our next boat on your site. Your site was great I got lots of interest and sold it quick. I will recomend your site to all I know that are trying to sell a boat. I did sell the boat through an Only Inboards lead. Thanks! Thanks for the email tips advice for the posting of this boat on onlyinboards.com The boat sold in 4 days of posting it. Appreciate you getting back to me and I have to tell you, I sold my boat in 3 days! Great Site and well worth the money! Thank you, Ian. 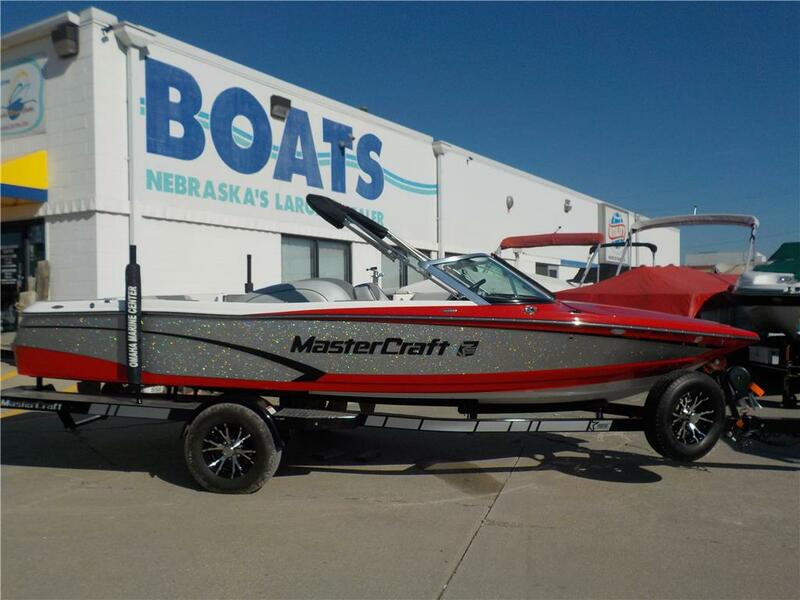 Your site helped me sell my MasterCraft in less than 4 days! Thank you for providing such a great service! Thanks for an awesome site. I had my boat for sale last year with limited success but dropped the price this year. I just sold my '95 Sunsetter for $12k with 1100 hours on it. I think I gave them a decent deal. I probably generated 30 inquiries from your site in 2 weeks. Keep up the good work. Sold my boat! Thanks very much for making this site available, I appreciate it very much. Got lots of interest in it, got asking price. thanks for the checkup, i have actually taken over 50 emails, and 25 calls on it in less than a week. i have 3 people coming to look at it over the next couple days, so i'd say your site is definetely working, i am hoping to have it sold by the end of the week. thanks. Thanks for the follow-up and I'd like to inform you that we sold our Ski Centurion on Friday, July16th... Thank you for your support and use of your productive site. The boat was actually sold today to a contact from the Only Inboard website. I will be recommending the site to anyone I know looking to sell an inboard in the future. we actually sold the boat in one night thanks to the ad on your website! Wow, did my boat ever sell fast on your site! I am being barraged with calls and emails now – please cancel the ad. Our boat sold yesterday from the ad we placed on your web site. Thank you--Great site and great exposure. .....I received a pass-through lead email from you on 5/22 for my boat listing - the contact drove down 5/26 & bought it - not bad! Hurray! My boat sold tonight because of OnlyInboards!!!!! For us, your site is the best! We plan to use your site (featured) again in an attempt to sell our 2011 Ski Nautique 200. Your site is great, I sold my boat in Montana in December(!) off your site and had dozens of leads. I tried craigslist, usedboats.com, and some others. My advice to those selling an inboard wake or ski boat is to GET IT ON YOUR SITE! Your website was very helpful in my purchase of a new boat. Thanks. Thank you. By the way, I found and purchased a boat from your web site!! I sold my boat in less than 24 hours from listing it. I could not find an area on your website to fill out the testimonials so I feel bad but I am super impressed with my results. Thanks again. We did not sell the boat through only inboards,but it, by far provided the most traffic and responses.I am sure if we had not lived so close to Canada(where the boat sold) it would have been a response from only inboards that got the job done.Your site is also where we found the 236 we are looking into buying.Thank You for such a valuable tool. My boat sold to (name removed) through only inboards.com. This was the only site that I received any interest on my boat. This is a great site and I will not hesitate to use it again for buying or selling a boat. I received 10 inquiries from OnlyInboards for every one that I got from BoatTrader leading to a fast sale. If it wasn't for OnlyInboards my boat would still be for sale! SOLD my Supra yesterday, Thanks to OnlyInboards! My boat Sold through onlyinboards.com. This was the only site that I received any interest on my boat. This is a great site and I will not hesitate to use it again for buying or selling a boat. I received 10 inquiries from Onlyinboards for every 1 inquiry from Boattrader.com! Leading to a fast sale, if it wasn't for Onlyinboards my boat would still be for sale!Thanks, Onlyinboards.com"
My listing for my 1981 Century Arabian has been sold. Thank you for maintaining and monitoring the website. It helped me get my boat exposed to the right people and in front of the buyers. Thank you Ian, let me know if you are planning on coming to Chicago for any shows. I'll have to buy you a beer! This boat has sold as a result of my listing on onlyinboards.com. The first week I listed it on OnlyInboards I recieved 3 calls on it. I ended up selling it to the first person that came over and looked at it. I'd like to thank you guys for the service I definitely got most of my traffic due to this ad. My boat sold yesterday. I deleted my posting last week as I sold my boat through here. Thanks. Its a great site and I'll use it again when the time comes to get another one. my boat sold in about a week, first person that looked at it picked it up. you can take my ad down though i m sure i already did. thanks for a great website! I sold my boat through your site. Thanks alot. I deleted my posting of it so I would stop getting calls on it. You can make note of it too. Hope to buy one again one of these days through your site. It's great. My brother sold his boat off here too. We know where to go to buy and sell good used ski boats. Appreciate the heads up. It seemed too good to be true. 07 210 w ZR6 in MD has been sold. Thanks!! Your site def help sell it to a family in Canada. My listing for my 2003 Maristar can be removed. I sold the boat through onlyinboards.com. Thank you. Thanks for the help - sold my boat in less than a week! Thanks! I have sold the boat and removed the ad. For the record, I had originally purchased the boat from your site, and subsequently sold it on your site in 16 hrs! Your website is by FAR the most user friendly, easy to place/modify ads. Great Job! I've had a fantastic response to my ad. I priced just below NADA, got over 20 inquiries from as far away as MN and have 4 buyers lined up to buy at my asking price. I expect to close on a sale in the next few weeks and will advise you when it's complete. Thank you. I sold my boat through a lead on Only In Boards. Thank you for offering the terrific medium of targeted advertising. I posted it on Monday the 6th and on the 7th I had several prospects, one came to look at it this past Saturday and bought it. We sold our boat to a buyer who came from OnlyInboards! Thank you!! Able to sell my boat on your site for my asking price. Thanks!! Thank you for all the leads your site generated. We had more than 6 inquiries in 4 days and sold the boat in 5 days. Very good site. My boat is sold, 2000 Aztec Crow. It took 3 weeks and got over 20 interested buyers. This site is definitely worth it! Thanks! Thanks for helping me sell my boat. Great site!! I need to remove my boat from your listing. It has sold. Thank you....man your listing is popular I am getting 4-5 calls a day on my boat still.....I think I sold it too early in the season. hahaha. I adverstised my boat on a few sites.Paid $99 for one ad on another site & got ONE call.I put my ad on here and had DOZENS of calls.Great site to sell a boat on.Thanks!! My boat has been sold and it was to someone who saw it on your site. We did sell our boat today thanks to onlyinboards.com!!! Just wanted to let you know I sold my boat through you site yesterday. Thanks for the great service. Thank you I have sold the boat!! You guys have a great site I may fine my next boat there. I wanted to send you a quick thank you. I sold my boat this morning...5 days after adjusting the price to your recommended $16,850. Thanks again (x10)! I sold the boat two weeks ago. Sold it with the help of your site. Thanks for your help. I had a Tige 22i boat posted and it has already sold. Only after about a week on the site. The buyer saw it on onlyinboards.com and contacted me. I sold my boat on your awesome site and got retail. Listed my boat on Tuesday, sold on Wednesday. Not only that, but I had four more leads within two or three days before I had a chance to delete the ad. Very impressed! Thanks to your site I sold my Malibu in a very quick two weeks. The person i sold it to came from your site and the deal was done in a couple days and everyone is happy. thanks again OnlyInboards. I would highly reccommend onlyinboards.com to anyone selling a wakeboard or tournament boat. It generated many many inquires and seems to be the best site for selling these types of boats. You only get people who are looking for wakeboard or tournament style boats and you don't have to go through the process of educating them on why your boat is what it is. Yes...you were the only place that I listed it with. It's not easy to find a buyer for a closed bow skiing boat, even if it's in great condition. OnlyIboards.com found me that person! Thanks for your help. I listed my boat for sale on your site and on Boat Trader (ugh) and your site was easily much better and more user friendly, plus a hell of a lot cheaper. And it just sold through OnlyInboards.com! Thanks again. The site is great I sold my boat via the site! Thanks very Much! The boat is off to New Zeeland. Thank you OnlyInboards.com! What a fantasic service for wakeboarders/skiers to sell their boats. I listed my 1999 Moomba Outback and within hours had some prospective buyers. Once all was said and done, the boat SOLD in less then 2 weeks and there were over 30 inquiries through OnlyInboards (versus NONE through some other online classified services). I fully attribute the quick sale to this site, the visibility it gets in the online wakeboarding community, and the technology powering the site. Thanks again OnlyInboards.com! Thanks for a great site, I got TONS of leads from this site and none from any other sites, including BoatTrader. I will recommend your site highly to anyone looking for or selling an inboard. This is an excellent site. I had my boat on Craigslist and Planet Nautique and didn't get any response. I have had several hits from OnlyInboards and just sold the boat from one of the leads. I would highly recommend OnlyInboards.com to sell your boat. I would just like to say thanks for the ad. I listed my boat back in Feb. and sold it about a month or so ago from a lead from your site. Again thanks and I think you have a great site. Your site has really taken off!! Congrats, before you know it I think it will be the biggest ski boat and wakeboard boat site out there if it’s not already. I have heard lots of people talking about your site in the last few weeks a lot, from all over the country. I have gotten leads from CA, MT, MI, FL, OK, OH, and NC on my boat. I think that the one from MT may pan out. I should find out today for sure. Thanks again! Update: THIS BOAT IS SOLD AND IT SOLD THROUGH WWW.ONLYINBOARDS.COM . MY BOAT RECEIVED 568 HITS FROM ONLYINBOARDS AND A LOT OF LEADS. GREAT SITE TO WORK WITH!!!! I WOULD RECOMMEND ALL TO USE IF SELLING. Maybe its the warm weather, but I've gotten 5 hot prospects for my boat in the past 5 days. they are just about fighting over it. Prior to OnlyInboards I was with Boattraderonline for about 6 months, with maybe only one buyer interested enough to water test the boat. Hands down I recommend OnlyInboards. i don't know how or why, but there was a big difference in the quality of inquires, number of inquires and the service you provided. this is a no brainer. thanks again. Man, I really love your website. I put my Malibu VLX up on your site as a featured listing and almost immediately, got an email from a guy from up in Oregon who saw the ad. He flew down to my house in Sacramento to see the boat and bought it. Isn't the internet great? I wanted to send you a quick note thanking you again for your awesome website! After searching on it daily for about three weeks I found the exact boat I was looking for and made the purchase. Your site made it extremely easy to search through a huge inventory of boats for sale from a wide variety of sources all over the country. It was very convenient to only have to go to one site each day for all the updated listings. All of the additional information on your site in the form of articles and helpful links helped me make an informed purchasing decision and I'll have all my equipment ready to go when my boat arrives. Thanks again, I'll recommend your site to all my friends. OnlyInboards.com is a great resource for finding the wakeboard boat I am looking for. I only have to go to one site and I have access to advertisements from multiple other sites such as eBay, Craigslist, Boattrader, etc. I accidentally found OnlyInboards.com by search engine, and I have to tell you that this is the best, most comprehensive site I have found. Though I have seen many of the ads on other sites, I have to travel to all sites in order to find the few boats that fall into the direct drive category. Thanks for putting this site together. I've already passed on the word to a few friends. Even though this is my site, I might as well tell my story here. I had my 92 Sport Nautique listed on Boattrader for 4 months and in 3 weeks I received more calls from this site than the entire time I had it on Boattrader and the boat sold for my asking price. This site give's you everything out there in one convient location instead of searching all over the web. I use this site everyday in search of what I'm looking for. Thanks for the convience. Great site! This has to be the most user friendly boat website that I have ever been on. It is nice to be able to browse through just tournament boats instead of sailboats and fishing boats. I have my boat listed on this site and in less than a month I've had over 200 hits for my listing. Really like this site, no need wading through all the other type boats when you know what you want! Great site. Best out there so far. This is an excellent site/idea....... I had my boat on boattraderonline and didnt get any response. I have had several hits from onlyinboards.com though....Hopefully it sells. Great site. Really makes searching for a wake specific boat easier. Glad to have found it ! Was looking in the Boattrader. Lot more to go through and they don't have an inboard section. Thanks . It is great to be able to look at a website with nothing but inboards. It makes finding a boat simple! Got it and thanks. Appreciate the service. You have a loyal customer. Thanks for the stickers and koozies! Very cool of you. Light bar is outstanding. Thanks you so much for your help. Your company is great. By far the best customer service I have ever had doing online ordering. I really appreciate it and will always buy my boating products from you. Thank you. Thank you for the number and the speakers arrived today. Your service was extremely timely and professional. Have great summer and enjoy the water! I will definitely consider using your company again the next time I need new equipment for my boat. Thanks Ian. Look forward to buying from you again. Excellent customer service. Just outstanding service ordered a kneeboard /wakeboard rack online Monday and received it on Wednesday ,that includes crossing the border. Ian, I want to say thank you! I was not expecting you to just send those parts to me for the tower. I am again impressed with the level of communication and service I have recived from your company! I have OnlyInboards saved as my favorite and let everyone I know about your quality service and how you stand behind your products., Thanks. Just wanted to let you know that the tower came.. and its on the boat. Everything went perfect.... thanks for everything..
You run a great business! Working with you has been a pleasure, and I am happy to give you my business. I will certainly come to you guys in the future for anything and everything else my boat needs! Looking forward to getting my tower! Thanks so much! You've made this purchase a very positive experience. Thanks for the great deal on these wakeboard racks, it was a pleasure doing business with you. The shipping was fast and the product is great, better than expected for the price!!!! I will definitely pass on your information to others.